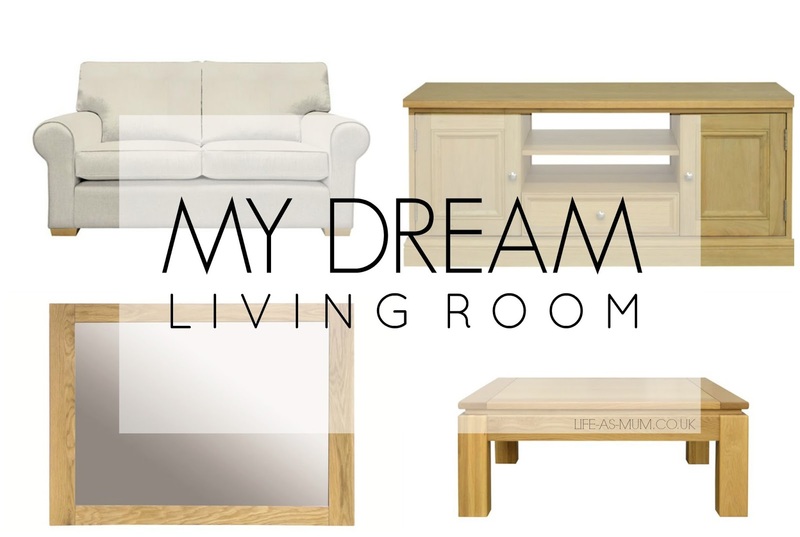 When you are a family it can be quite difficult to achieve your dream living room. You may have the certain accessories and the lovely sofas you have always wanted, but at the end of the day, we as parents need to make sure each room in the house is child-proof. This may mean that we may not be able to have that particular beautiful big vase with flowers, or the tall glass floor lamp or even the glass coffee table but one day we will have our dream living room, hopefully. We have decorated our living room and I am happy with how it looks at the moment but we still need to get a few bits and pieces. If I was to have my dream living room, I would choose warm colours, a fabric sofa and shelves full with picture frames and accessories. I do think the living room is the heart of the home and should be a place you can fully relax and unwind after a long day. But it should also be a room you and your family can relax and make memories during the day too. From the collage above, you can see that I have gone for some warm but neutral colours. I have always loved fabric sofas over leather sofas. At the moment we have leather sofas and we really don't have a clue to why we chose them over fabric ones, maybe we were thinking of the amount of stains kids do? But one day I would love this kind of sofa in our living room with a grey and slate colour cushions. I love floor lamps. When I unwind at the end of the night, to watch my soaps whilst the kids are in bed, I like to switch the main light off and switch the floor lamp on. It makes the living room a lot cosier. 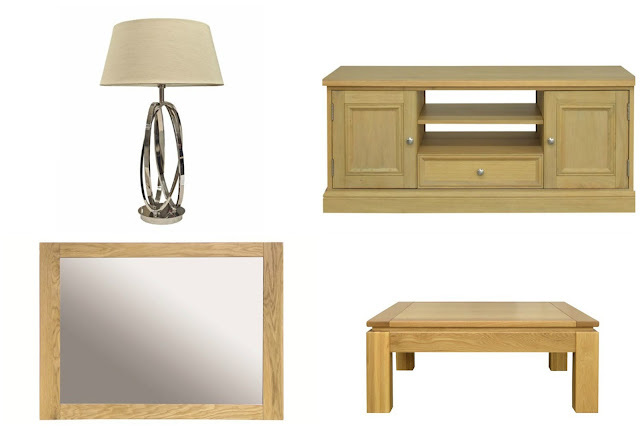 You have also probably noticed that I have added a few storage spaces into the items I have chosen. The TV cabinet for instance. Has storage for four places which is perfect. At the minute we don't like our tv stand, everything is on show and we would really like a tv cabinet where it hides everything. 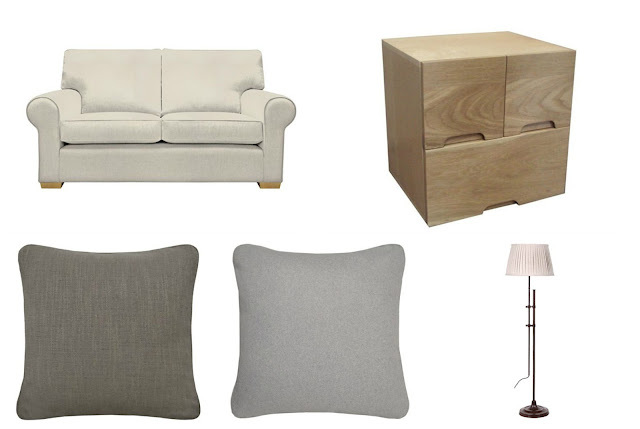 I have gone for a warm, light and neutral coloured dream living room. I think it looks really cosy and the kind of living room I would most definitely be able to unwind and relax at the end of the day. It's pretty simple but that is how I like it! What do you think of my dream living room?